What a cute design to show how much you love your "sweet" Grandkids!!! Available in T-shirt, long-sleeved, T-shirt, or sweatshirt in sizes Medium-2X in white or grey. 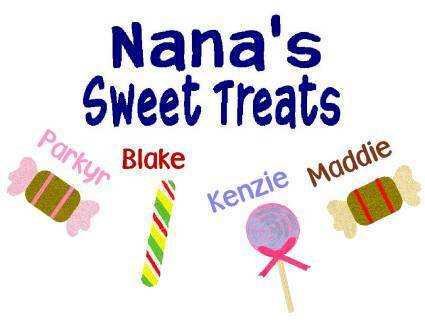 You specify Grandparent name (Nana, Mammaw, Granny, etc) and Kid's names along with choice of text colors.